The aftermath of the Cyprus dispute saw the creation of the Nicosia Buffer Zone in 1974, which cuts across the historic and architecturally rich centre and has disrupted the city’s cohesion and continuity for almost 40 years. The corridor’s heritage spans from beautiful medieval monuments to elegant neoclassical buildings and traditional workshops. Once the focal point of craft and trade, the historic heart of Nicosia is sadly today a lifeless corridor of 1.5 km. These decades of abandonment have undermined the high architectural value of the buildings and have had a devastating impact on the environment and living conditions of the historic centre as a whole. It is due to its symbolic and historical significance and the preponderant collaboration between the two major communities of Nicosia, Greek Cypriots and Turkish Cypriots, that the Nicosia Master Plan Project received a Grand Prix from the European Union Prize for Cultural Heritage/Europa Nostra Awards in 2011. Initiated in the 80’s, this master plan is crucial not only for the preservation of the historic centre of Nicosia as a whole but it also provides a vital resource for the future unification and integration of the city. Despite 40 years of divisions, the local community is today more united than ever in wanting to reclaim their city centre. This extraordinary example of heritage acting as a force of peace and cooperation is in urgent need to be gradually implemented, and calls for action. It is now time for the master plan, which includes historical analyses, surveys, studies for emergency support of buildings, restoration proposals, and an enormous digital record, to be followed by specific projects of restoration and regeneration. 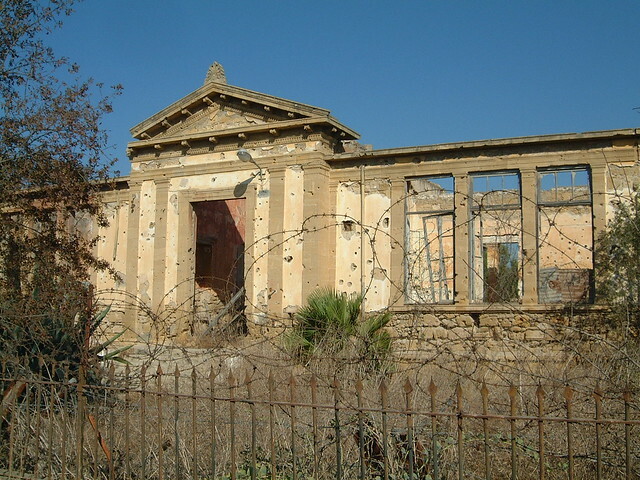 The nomination for ‘The 7 Most Endangered’ was made by the Cyprus Architectural Heritage Organisation.